Host your own luxurious and impeccably styled dinner party, all set up for you with butler, private chef with menus and themes selected by you. Host the dinner party of your dreams in your home (or other venue), without doing anything - no set up, no serving, no clean up, no cooking, no breakdown. 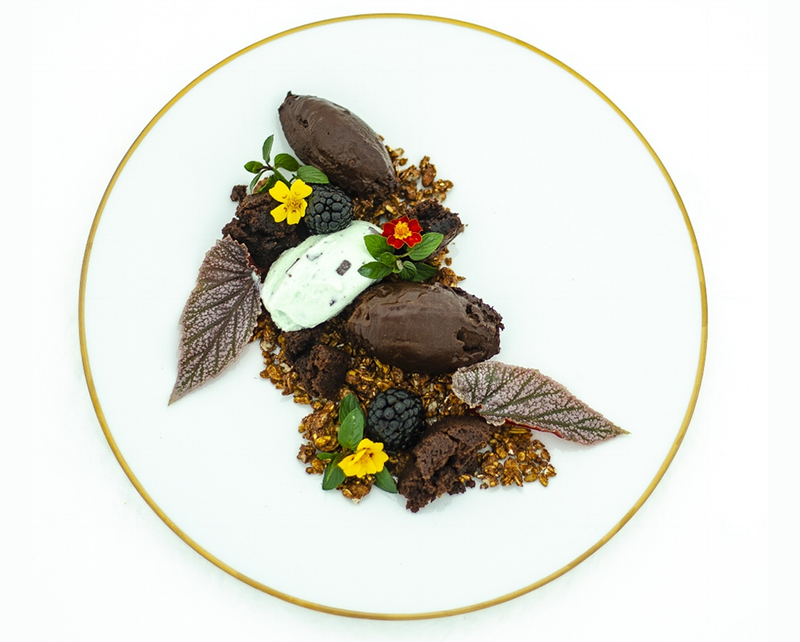 Luxe Fête Social, a dinner party in a box includes a private chef, innovative menus, butler service, designer table settings, fresh florals, centerpiece décor, personalized name cards and menus, a music playlist and conversation starters. 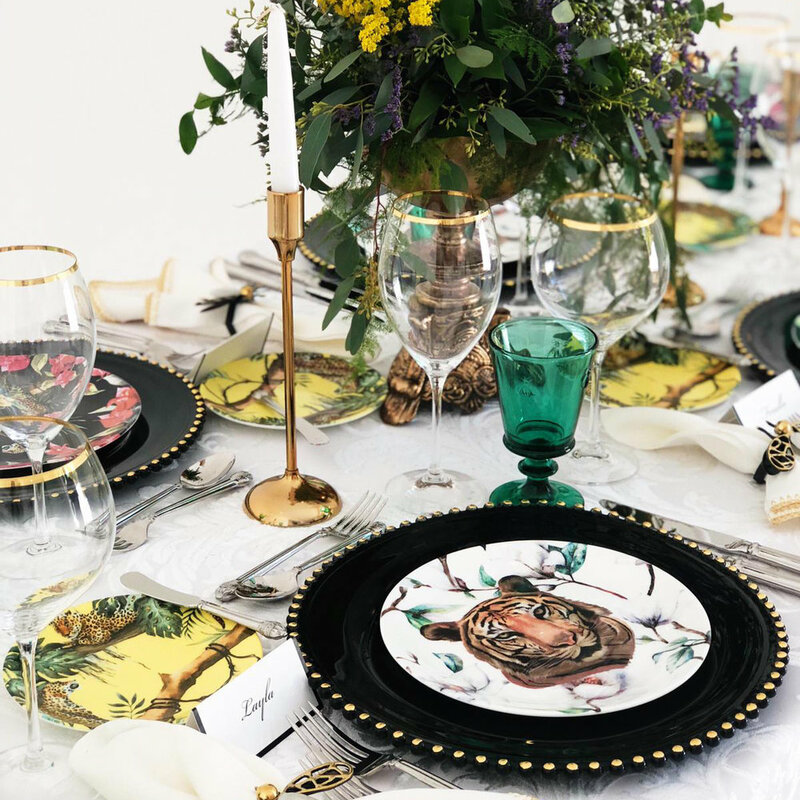 After more than ten years of traveling the world to produce her signature events, Nathalie Cadet-James of Luxe Fête Event Planning and Design Studio is thrilled to introduce a dinner party rental service that makes the joys of connecting easily accessible. 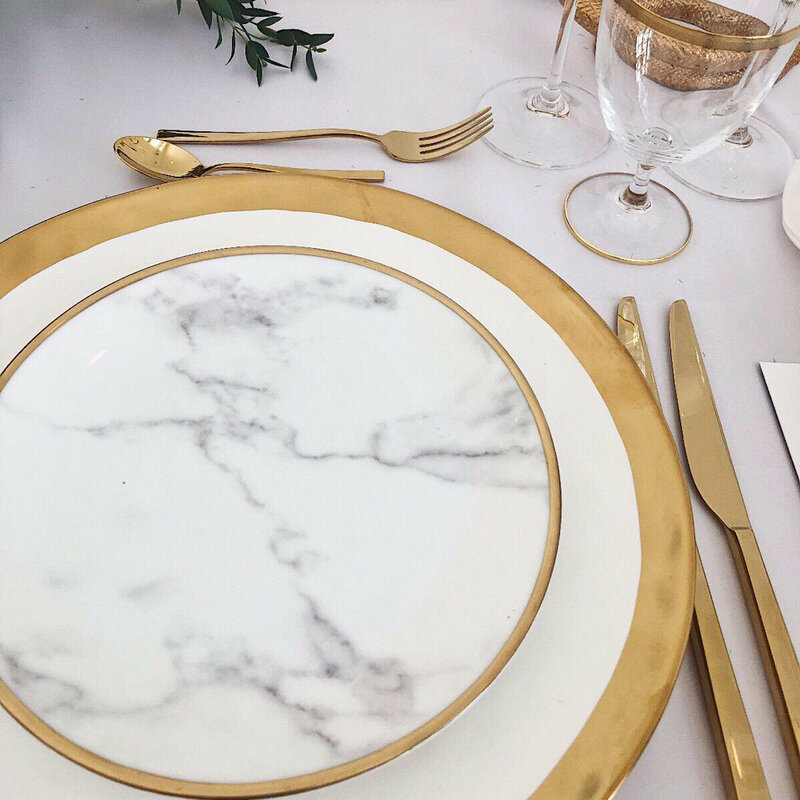 Choose your designer table setting, choose your desired menu, select the date of your dinner party, select the number of guests (between 8 and 24), and input other important information for your dinner party. Within 24 hours, or the next business day, your order will be confirmed. The day before your dinner party, your table setting will be delivered to your home. Our farm to table ingredients for your gourmet dinner will also be shipped to your home in a climate controlled box at this time. Just bring it into your home or kitchen. That’s it! No need to unpack the box. The following day, your chef and butler will take it from there. It’s party time. Relax. Our chefs and butlers will arrive approximately three hours before the first course is served to prepare your dinner, arrange the table and set the mood. Relax some more. Our butler will clean up, break down your table settings and neatly repack them for pick up in the next day or so. Why Rent From Luxe Fête Social? Opportunity to be with your guests? … Yup. Makes you look good? … Yup. Privacy in your own home? …Yup. Breaking Down? … Definitely Not. Music Playlist? … We’ve got you. Create memories of a lifetime? … Absolutely. GET IN TOUCH NOW AND LEARN MORE ABOUT OUR SERVICE. Learn how to host your own luxurious and impeccably styled dinner party. All set up for you with butler, private chef with menus and themes selected by you. Who makes it onto your guest list? We will get in touch soon. Dinner For More than 24 People? Sign up for our newsletter where we share tips on being the ultimate host or hostess, discounts on Luxe Fête Social, VIP events and other top secret stuff. Your privacy is always protected.